Jasmine Guy reached the peak of her career in the late 1980s/early 1990s when she was one of the stars on the iconic comedy sitcom, A Different World (1987–1993) which chronicled love, life and higher learning at a fictional HBCU. Her role as Whitley Marion Gilbert–Wayne on The Cosby Show’s spin-off earned her four consecutive NAACP Image Awards from 1990 through 1993 for Outstanding Lead Actress in a Comedy Series. During that period, Guy also dabbled in music, releasing her self-titled debut album under Warner Bros. in 1990. It was Guy’s dancing abilities that opened the doors to her acting career. Shortly after studying dancing at New York’s Alvin Ailey American Dance Center, Jasmine landed a role as a dancer on the TV series Fame (1982). Following a couple more guest roles on the small screen, she made her feature film debut on Spike Lee’s Schol Daze (1988) and then Harlem Nights (1989) opposite Eddie Murphy. During the run of A Different World, Guy appeared in a handful of TV movies and after the show ended, she took up guest roles in a number of TV shows including Melrose Place, Touched by an Angel, Ladies Man and more. In recent years, Guy is best known for her appearances on Dead Like Me (2002 – 2003) and The Vampire Diaries where she played Sheila Bennett. From 2016, she began appearing on K.C. Undercover. Guy has also found success as a stage actress appearing in Broadway, off-Broadway and other theater productions. Thanks to her versatility, Guy has been able to earn from many spheres of the entertainment industry. During her time on A Different World, Guy wrote three episodes and directed one. Her net worth is estimated to be $4 Million. Guy was born on March 10, 1962, in Boston, Massachusetts, and raised in the historic Collier Heights affluent neighborhood of Atlanta, Georgia. Her mother Jaye Rudolph was born in 1930 and is of Cape Verdean American ethnicity. Guy’s mother taught in high school. She has made a couple of TV appearances including in Intimate Portrait (2001) and Unsung Hollywood (2016). Guy’s father Reverend William Guy is an African-American. Born in 1928, he pastored the historic Friendship Baptist Church of Atlanta and taught college students philosophy and religion. Guy has a sister named Monica Guy. Also an actress, Monica often stood in for Jasmine on the set of A Different World. Like her sister, Monica had a role in Will Smith’s The Fresh Prince of Bel-Air. 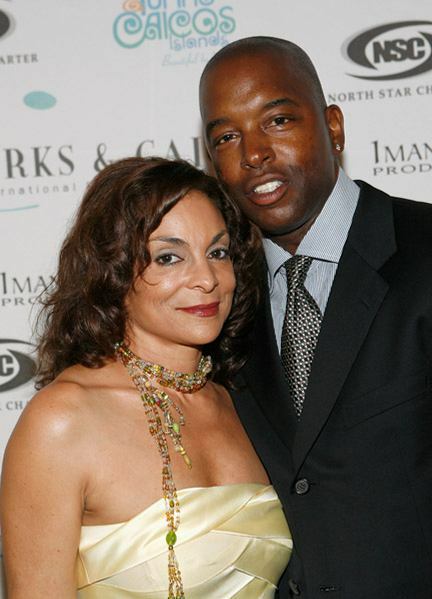 Jasmine Guy has been married once. On August 22, 1998, she tied the knot with Terrence Duckett. Their marriage lasted for a decade before they went separate ways in 2008. People reported their divorce after Los Angeles court documents showed that Guy had filed for divorce citing irreconcilable differences. According to the filing, Guy requested for spousal support as well as the maintenance of ownership of a number of assets including her production company and the copyright to her 2005 book Afeni Shakur: Evolution of a Revolutionary, a biography on the late Tupac’s mother. She also laid claim on artwork, furniture, and jewelry. In September 2009, Bossip reported that Guy had received all she had requested for in her filing (artwork, jewelry, cars, and pre-marital earning) including the sole custody of their daughter. Duckett had contested for a joint custody. It was also revealed that Guy had to file for Chapter 13 bankruptcy as the divorce left her in debt of over $123,000 in back taxes and penalties. She’s long recovered though. Jasmine Guy Child/Daughter – Imani Guy Duckett. Guy’s marriage to Duckett produced a child, a daughter named Imani Guy Duckett who was born on 28th March 1999. Imani began following in her mother’s footsteps in 2016 when she made her on-stage acting debut in the Atlanta play “Serial Black Face,” Essence magazine reported.